I'm not entirely sure where to start with this one (also the fact that I finished it ages ago and forgot to review it when it was fresh in my mind certainly won't help), so I'm going to throw myself into it and hope what I'm looking to convey shows up. 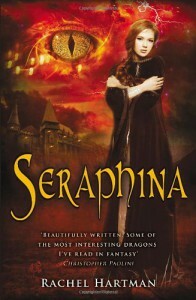 What I noticed almost immediately with Seraphina is that the writing is really enjoyable. It's very easy to follow, feels very comfortably written and is very light for a fantasy story. It was probably the highest point of the technical side of the book for me, considering it was my first pro written down in my notebook. A lot of the problems with fantasy is that the writing comes off as very stuffy and pretentious – it isn't so with Seraphina, which was a pleasing relief. The characters themselves are quite interesting and relatable. I can't safely say that any of them really hooked me, but I found myself enjoying them nonetheless. Seraphina's social awkwardness is something I can especially relate to, as I have social anxiety disorder and often experience social situations quite like she does. I could empathise with her much more, and it made me want to see where she ended up by the the end of the story. I also really liked Orma and wanted to see more of him. His obvious inner turmoil – something which is generally considered 'illegal' among the dragons – was clear. Ironically enough the turmoil seemed to consist mostly about his ability to feel emotions and how it would affect him, and Seraphina. He had a lot of complication to him, which is good, especially for a character that is strictly designed to have the opposite – simplicity in logic and science, without the burden of emotions. What else is interesting is how he deals with those emotions; he recognises them for exactly what they are, never fooling himself that they're something they're not. He keeps it secret for as long as he's able, trying to deal with it in his own ways, until time and circumstances completely abolish any notion of that. On Seraphina however – certain points I found quite frustrating. She's been set up as a young woman who has a lot of discomfort when it comes to social gatherings, mostly out of fear of 'being noticed'. In her case, the terror of being discovered as a half-dragon – very understandable considering it's been made so very clear how her kind would be treated if they were discovered. Not only that, but how disastrous it would be for the very shaky peace treaty between dragons and humans. A lot is riding on her shoulders to stay out of the spotlight. And yet, at certain points in the story, all that seems to go out the window – she actively flirts with strangers, easily takes up an offer to discuss...I think it was mathematics with strange men, etc. It just seems so opposite to this shy, modest character we've been warmed up to. It threw me for a loop each time it happened. I loved Hartman's idea of dragons and how logical they were, eschewing emotions and persuing sciences. Even the quigutl were intensely interesting for me. I wanted to see a lot more of them, but they were always treated either in their human form, or only in mention (which few exceptions of course). I'm hoping there's a lot more of them in their natural form in the sequels, as I was sort of disappointed with always having to read about 'human' dragons. I also absolutely adored the setting. It seemed so steampunk-ish almost...plus with dragons. Normally wouldn't expect the two to mix well, but it just worked in this. While the pacing of the story is spot on, I actually thought that...well, just not that much happened. The book seemed to be one enormous introduction to the characters, their world and their problems – which I normally quite love, since well-made characters can keep me going for days, with the story taking a solid second place for me. But, after a while, I found myself tapping my foot a little, telling the book 'yes, I know these people by now...let's carry on please'. It's an unusual case of the pacing being very good, but the plot itself moving slowly. I would say that the story was all over the place, but...it really wasn't. All of the events were there for reasons, either for well-timed exposition or to further the story. I think the slow feeling of the plot might've made the story seem more scattered, when in reality, it was never hard to follow. Never once did I find myself squinting and going back a few pages, thinking I missed something. 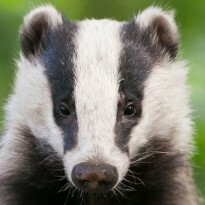 And to finalise – there was one particular part of this story that I loved more than anything, and that was the mention of Saint Gobnait and her bees. She is an Irish saint, the local one of Ballyvourney – a place I've passed by many times on my way to Cork City. I've known about her and her bees for quite a while now, and this mention thrown in was too spot on to be coincidence. I laughed out loud at the first mention; I was absolutely not expecting something like this to show up in fantasy. Regardless, I loved that little nod of the head to my current country of residence and everytime Gobnait was mentioned, I smiled. All in all I really enjoyed Seraphina and would love to read the sequels! I do have to give it a 3.5 stars (rounded well up) though, because the slow plot was just too much for me at times.